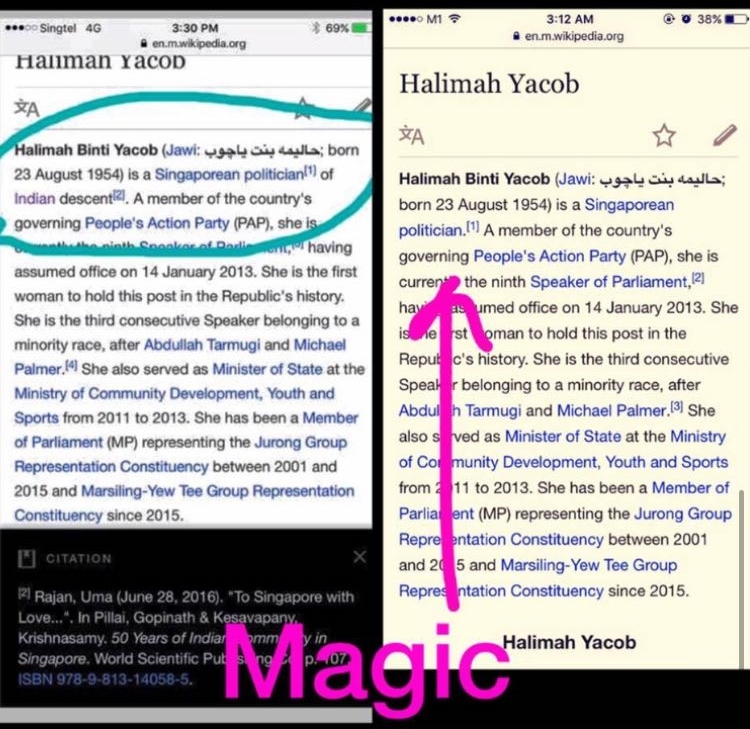 Did Halimah Yacob delete info about Indian descent from Wikipedia page? Her page may have been spruced up in anticipation of the upcoming Presidential election which Mdm Halimah is considering contesting. The presidential election this year has been reserved for Malay candidates. There has been wide speculation about whether Mdm Halimah qualifies since she is an Indian Muslim, whose father is of Indian origin. This was disclosed in an ST article in 2013 when Halimah was selected to be the new Speaker of Parliament after her predecessor, Michael Palmer, resigned from politics due to his marital affair with a PA woman. 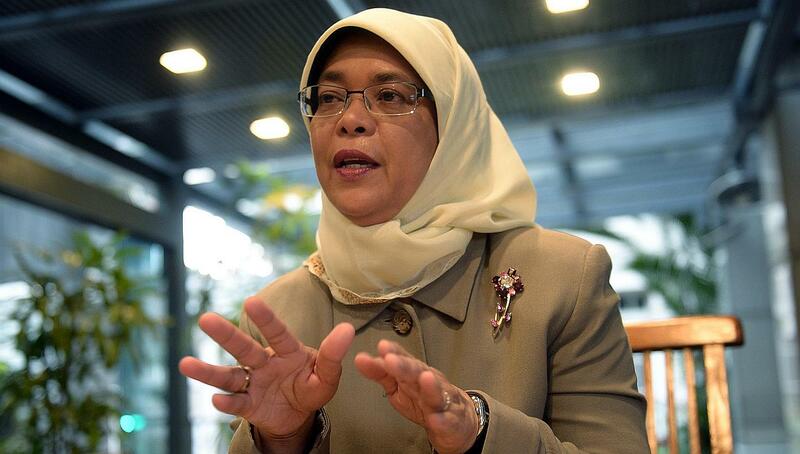 It has been revealed that despite her ancestry, Mdm Halimah has been certified as a Malay by the Malay Community Committee at least three times in 2001, 2006 and 2015 when she was fielded as a Malay minority candidate during the general elections. It is a requirement for minority candidates contesting general elections to to be certified as a member of his or her respective ethnic community. If she chooses to contest the presidential election set for September, Mdm Halimah will be required to certified as a Malay candidate once again, by a five-member panel that will assess whether prospective presidential candidates belong to the Malay race. Perhaps Mdm Halimah’s Wikipedia page was edited to avoid claims and speculation that she is unfit to run in the presidential race, even though she is a certified Malay. The deletion of her ancestry, however, may have backfired as netizens circulating the photo have taken the edits as evidence that Mdm Halimah is trying to bury her origins.